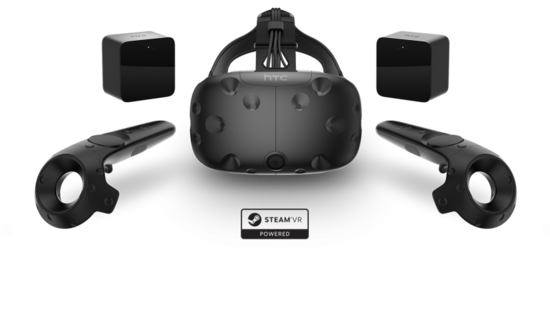 OpenVR is an open standard for VR that is implemented and supported by Valve, and is the protocol used on the HTC Vive VR system, part of Valve Corporation's SteamVR project. HTC Vive is the first (and currently only) device that has been tested throughly with TouchDesigner. The OpenVR TOP outputs the left and right rendered images to an OpenVR device. The OpenVR CHOP supplies data for head tracking as well as data from the Vive's highly-accurate and responsive dual Controllers (all its buttons, trackpad, and position/rotation values) and Tracker accessories. OpenVR devices are accessed through the OpenVR CHOP, OpenVR TOP, and the OpenVR SOP. NOTE: It is also possible to run the controllers without the headset. OpenVR CHOP - outputs positional data from the OpenVR SDK. You can choose between Sensor extrinsic data: for use as a transform matrix in a Camera COMP, Sensor intrinsic data: for use as a projection matrix in a Camera COMP for left and right eye or Controller/Tracker data: for positional and interaction channels from external controllers/trackers. OpenVR TOP - outputs the left and right images to an OpenVR device. OpenVR SOP - Holds OpenVR driver dependent models ie. a the model for an controller. There is a Vive Section in the Category:Palette with basic elements for a OpenVR environment as well as a simple complete setup which can be used as a starting point to develop OpenVR based projects: gestureDraw, openVRRender, viveController, viveSimple, geoControlPanel. This page was last edited on 5 October 2017, at 15:37.